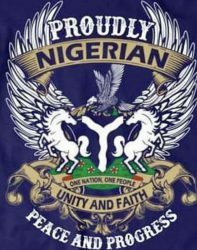 It was President Robert Mugabe of Zimbabwe, who once noted that ‘Africa without Nigeria is hollow,’ meaning that, without Nigeria, a critical vacuum that cannot be easily filled, is necessarily created. It also means that the role of Nigeria in intra-African affairs is significant to the extent that it cannot be neglected. The observation was made against the background of Nigeria’s roles in the defence of Africa’s interests in international politics, and particularly in the light of the struggle against Apartheid South Africa. And fair enough, Nigeria never gave any opportunity for such a vacuum or hollowness to exist. Africa has consistently remained the operational centrepiece of Nigeria’s foreign policy. At the West African regional level, Nigeria has always filled the vacuum to be created by insolvency of some Member States. For instance, the chairmanship of the ECOWAS is rotated amongst leaders on a yearly basis. President Gnassingbé Eyadéma of Togo chaired the organisation in the 1977/1978 period. General Olusegun Obasanjo of Nigeria followed in 1978/1979. Léopold Sédar Senghor of Senegal chaired it in 1979/1980 and, again, President Gnassingbé Eyadéma of Togo in 1980/1981, etc, followed in that chronological order. However, whenever there was to be disinterest in chairing, and thus creating a vacuum, Nigeria had always prevented it. General Ibrahim Babangida, who took over from Muhammadu Buhari as Chairman of ECOWAS Authority (May 1985 to August 27, 1985), chaired the organisation from August 27, 1985 until 1989, that is, for an unprecedented period of four years. Again, because of the heavy financial burden often associated with chairmanship of the organisation, and which many leaders try to avoid, General Sani Abacha of Nigeria not only chaired the ECOWAS from July 27, 1996 till June 8, 1998 (two years), General Abdulsalami continued with the Nigerian chairmanship of ECOWAS from June 9, 1998 till 1999. In fact, President Umaru Musa Yar’Adua also chaired the ECOWAS from December 19, 2008 till February 18, 2010 while President Goodluck Ebele Jonathan continued with the chairmanship till February 17, 2012, that is, for over three years. Apart from President Alpha Oumar Konaré of Mali, who chaired the organisation from 1999 till December 2001 (two years); Abdoulaye Wade of Senegal, December 21, 2001 to January 31, 2003 (two years); John Agyekum Kufuor of Ghana, January 31, 2003 to January 19, 2005 (two years), as well as President Mamadou Tandja of Niger, January 19, 2005 to January 19, 2007 (two years), no other ECOWAS Member State has served as chairman more than two years except for Nigeria. Without any scintilla of doubt, the chairmanship of ECOWAS is essentially first a desire. A desire requires unflinching commitment to make it meaningful. Commitment not only requires a good implementation strategy but also productive timing devoid of bickering of whatever kind. But time is also money and the most critical problem for many of the Member States many of which actually still find it uneasy to even pay their assessed dues to the organisation. It is from this perspective that we must begin to look at the future of the ECOWAS without Nigeria. Put differently, can Morocco fill the vacuum or hollowness to be created by possible withdrawal of Nigeria from the ECOWAS? Why should Nigeria even threaten to withdraw? Why should the issue of self-determination of the Indigenous People of Biafra (IPOB) and Biafranisation be responsible for Nigeria’s threats to withdraw, bearing in mind that the pioneering initiative to establish the ECOWAS was Nigerian? Who has forgotten that Nigeria collaborated with Togo, in this regard, to translate the initiative into action with the joint visits of General Gowon and Gnassingbé Eyadéma to the various countries in West Africa? In trying to address the foregoing questions, it is useful to first investigate the main problem and its major dynamics, especially from the perspectives of both the proponents and opponents of Morocco’s quest for membership of the ECOWAS. The main problem is the conscious attempt to avoid or enforce the application of the international principle of self-determination provided for in international law and relations. In this regard, the dynamic of Nigeria’s attitude towards Morocco’s application for membership of the ECOWAS is IPOB’s quest for a State of Biafra, which has prompted the conflict of politico-economic interests between and among Member States of the ECOWAS, on the one hand, and the proponents of self-determination in international relations, on the other. The conflict now has the great potential to create a Nigerian vacuum in West African politics, thanks to Morocco’s application for membership of the ECOWAS. And true, Morocco’s application for possible membership of the ECOWAS has proponents and opponents. The proponents underscore the potential economic contributions to be offered by Morocco, while the opponents consider the political dimensions. Nigeria belongs to the opposition group from a technical sense. For Nigeria, the problem is more than politico-economic. It is essentially the question of national security, territorial integrity of Nigeria, and more specifically, how to neutralise the MASSOB and IPOB quest for Biafranisation. This question largely explains in part why Nigeria was not represented at the appropriate highest level at the last 51st Ordinary Session of the ECOWAS Authority of Heads of States and Government, held in Monrovia, Liberia in June 2017, during which the application for Morocco’s membership was considered and approved in principle. It is important to note that Nigeria’s attitudinal disposition is not, a priori, driven by Morocco’s application but the rationales for the application, even though Morocco does not qualify to apply for membership, be it on the basis of geo-territorial contiguity or political propinquity. First, the IPOB has taken its quest for self-determination to different regional institutions and even to the United Nations for possible hearing and fairness. The United Nations does not condone the dismemberment of any of its Member States as a matter of policy. However, dismemberment has taken place in some countries as a result of the use of force. In fact, as reported in Daily Sun of Friday, November 3, 2017, the UN Secretary General, António Guterres, responded to IPOB’s letter of request for UN intervention by sending Ambassador Mohammed Ibn Chambas to the Chief Nnia Nwodo-led Ohanaeze Ndigbo in South East of Nigeria. Ambassador Chambas, who is former Head of the ECOWAS Commission, conveyed the message of the UN Secretary General as follows: António Guterres ‘believes in this one Nigeria project, because as he has always said, a united, strong Nigeria is good not only for the people of Nigeria, but indeed for the people of West Africa and all of Africa. We know the strength that the people of the South East bring to Nigeria and the sub-region. There is hardly a single country in West Africa, where you will not find enterprising persons from the South East, who in their own rights, are economic ambassadors of the Federal Republic of Nigeria. ‘ So our simple message is to encourage the leaders, elders of the South East to continue to endeavour to seek ways they can work with all other parts of this federation to strengthen the unity of this country through constructive approach, seek dialogue to redress whatever shortcomings that may be’ (vide page 8). Thus, the United Nations is against the application of the principle of self-determination. Nigeria also does not want it. However, Israel and Morocco are indirectly accusing Nigeria of double standard as Nigeria has been supporting the autonomy of Palestinians within the framework of the 1917 Balfour Declaration on the creation of a State for Israel and a state for the Palestinians. Nigeria argued that there has to be fairness since the state of Israel was, indeed, established at the end of World War II, while that of the Palestinians is yet to be actualised. Israel is not happy with Nigeria on this matter, believing that if Nigeria would support self-determination, fairness and justice in the case of the Palestinians, it should also accept the same spirit in the case of the IPOB. It is precisely the same logic at the level of Morocco’s relationship with the Saharawi Arab Republic, formerly referred to as the Spanish Sahara. When Spain left the territory, Morocco began to claim sovereignty over the territory, but which the International Court of Justice denied. The whole of Africa, through the Organisation of African Unity supported the Saharawi Arab Republic by admitting its membership of the OAU. It was because of this that Morocco withdrew its membership of the continental organisation. Even though the dusts of claim of sovereignty over the territory of the Saharawi Arab Republic are yet to settle, Morocco has not only manoeuvred to stage a come-back to the AU, it is also seeking membership of the ECOWAS. Unlike the argument of Morocco’s pioneer membership of the OAU, Morocco has only applied to accede to the 1975 ECOWAS Treaty as amended in 1993, but for a purpose that has not been seriously tabled for further reflections. Explicated differently, when the ECOWAS Parliament was considering ruling on possible referendum to prevent unnecessary violence, on the basis of Nigeria being a signatory to various UN, AU and ECOWAS treaties, especially as they relate to the principle of self-determination, Nigeria objected and threatened to discontinue funding the ECOWAS and possibly withdraw from the regional organisation. It was in an attempt to avoid the eventual ruling of the ECOWAS Parliament on the need for referendum that the Government of the Federation accepted to release the IPOB leader, insisting on unacceptability of a referendum on the matter. It was especially in the light of this that Morocco considered the exploitation of the likely opportunity of possible withdrawal of Nigeria to seek her replacement in the organisation. Morocco wants to leave its own North African economic community to seek accommodation in ECOWAS, promising to fund the organisation in the same way Israel wants to do (vide “Why Israel and Morocco are Solidly behind Biafra,” in Hope for Nigeria: Nigeria’s No.1 Community Platform on line). While the main rationale for Morocco’s quest for membership of the ECOWAS is essentially to serve as a counterweight if Nigeria remains a member or to outright replace Nigeria’s functional roles with those of Morocco, the emerging interest of Tunisia to also join the ECOWAS is yet to be made clear, except to begin to look at the deepening setbacks of the Maghreb Union to which both Morocco and Tunisia belong. The Union is currently fraught with political stalemate in its regional cooperation. Intra-trade in the five AMU countries (Morocco, Algeria, Tunisia, Libya and Mauritania) does not exceed 3%, compared to 10% in the ECOWAS region and 19% in the SADC countries. Besides, the objective of the Union was to have a Customs Union by 1995 and an economic market by 2020. This wish has more or less remained a dream. As noted in this regard by the North African Post, in the face of the paralysis crippling the Maghreb Union, Tunisia is following the example of Morocco by repositioning itself on the African continent. More important, Tunisian endeavour to join the ECOWAS was not only announced at the highest level by Prime Minister Youssef Chahel at the opening of the “Tunisian African Empowerment Forum” last week, an event that ‘sets the tone for a pivot and Tunisian foreign policy towards West Africa and echoes a frustration with the paralysis plaguing the Maghreb Union. It is therefore legitimate for Tunis to seek alternatives to the Maghreb Union, which, more than 27 years after its creation in 1989 (Marrakesh Treaty) has failed to achieve its main goals’ (vide “Tunisia launches Charm Offensive to join ECOWAS as Maghreb Union Crumbles,’ North African Post). There are many questions that naturally come to mind here: why are the members of the Maghreb Union abandoning their union to go and join another? Why is it that they cannot stay behind to address the challenges before them? Will Morocco not come with the Maghreb Union’s virus, especially their political stalemate into the ECOWAS? Even though Tunisia is yet to formally apply for ECOWAS membership, is Tunisia qualified to be considered a member? Even with the principled approval of the ECOWAS Authority for Morocco, is Morocco really eligible? It has been rightly raised by some observers that the ECOWAS cannot close its eyes because of Nigeria. Good enough! But is ECOWAS without Nigeria not, at best, hollow? If the ECOWAS has to stick to its treaties, what happens, if Nigeria withdraws from the organisation, to the community citizens residing in Nigeria, as well as to Nigerians living in other ECOWAS countries? Perhaps more importantly, what will be the future of African integration through regionalist approaches? And most importantly, should Morocco’s membership be finally approved at the next ECOWAS summit holding in December 2017 in Togo? Should Nigeria again abstain from the summit? Morocco once adopted the policy of the ‘Open Chair before eventually withdrawing from the OAU. But without waiting for a satisfactory solution to the problem that prompted her withdrawal, Morocco has rejoined the African Union, the successor organisation to the OAU. Thus, should Nigeria withdraw from the ECOWAS, would the withdrawal be permanent or temporary? There is the need to examine the more complicated issues involved and their implications before the summit, particularly in the light of the very patriotic efforts of the House Committee on Foreign Affairs and the House Committee on Regional Integration and Cooperation both of which have scheduled Thursday, November 9, 2017 for a public hearing on the matter. Under no circumstance should the admission of Morocco into the ECOWAS be accommodated by Nigeria. There is the need to go beyond the mutual diplomatic claims of warm ties between the two countries. The truth is that Morocco’s foreign policy of Nigeria has the great potential to undermine all the efforts made by Nigeria to grow and develop the regional organisation. How do we explain this decline from 6.1% in 2014 to only 0.2% two years after? The ECOWAS Authority says ‘the considerable drop in activity of the West African region is linked primarily to the sharp fall in the growth rate (-1.5%) of real GDP of Nigeria, the region’s largest economy’ (vide point 12 of the Final Communiqué of the 51st Ordinary Session of the ECOWAS Authority of Heads of States and Government, June 14, 2017, Monrovia, Liberia). Second, Morocco’s full membership of the ECOWAS currently has the support of the Francophones, but also has the potential of seriously dividing the organisation along Arabophones on the one hand, versus Francophones and Anglophones with the Lusophones acting as observers, on the other hand. As we have noted in this column before, there is no disputing the fact that both at the continental and regional levels, the Francophones are currently in control of the levers of ECOWAS Authority and the Assembly of Heads of State of the African Union. It is the opportunity of this Francophone factor that Morocco is possibly trying to capitalise on. A pointer to this observation was the representation of some countries, including Nigeria at a low level at the last ECOWAS Summit held in Liberia. It is on record that the Republic of Niger was represented by its Ambassador to Nigeria, HE Mansour Maman Hadj Daddo, while Nigeria was represented by its Chargé d’Affaires in Monrovia, Mr. Mohammed Tahir. Additionally, H.E. Paschal Irenee Koupaki, Senior Minister and Secretary General of the Presidency of the Republic of Benin represented his country. In the same vein, Moroccan membership of the ECOWAS also has the potential to bastardise the classification of Africa into five regions as provided for in the Abuja 1991 Treaty Establishing the African Economic Community. Consequently, the membership of Morocco requires a preliminary re-definition of the boundaries of West Africa because Morocco is geo-politically located in the Northern region of Africa. As we have also noted, Morocco’s membership of the ECOWAS cannot but be a conflict of interest in the long run from which Nigeria must begin to learn some lessons: Mauritania was a founding member of the ECOWAS. Mauritania withdrew its membership in the hope of associating with the Maghreb Union. The Union appears to be seriously challenged by bad governance. Its members are seeking alternative futures in the ECOWAS region. In fact, Mauritania wants to return to the ECOWAS. Why? And most importantly, why has Nigeria not signed the European Partnership Agreement up till now? What the European Union has not succeeded in making Nigeria do or accept is precisely what Morocco is to be used for in attaining the same objective as Morocco cannot but be the new conduit pipe of European products in West Africa. Morocco has an associate agreement with the European Union on trade matters. Another entente with the ECOWAS cannot but also raise the issue of the Most Favoured Nation Clause by which the European Union can derive all benefits accruable to Morocco. These are some of the preliminary impediments to be looked into as a starting point in evolving a foreign policy stand on Morocco’s quest for membership of the ECOWAS. Next PostNext Michael Bloomberg: Brexit is ‘stupidest thing any country has ever done’ Except the election of Donald Trump, that is.